A brief story about interfacing. In the past, people wore clothes that draped over the body. But they are not fit for our body. About the time of the Renaissance, the nobility began to wear all kinds of garments. 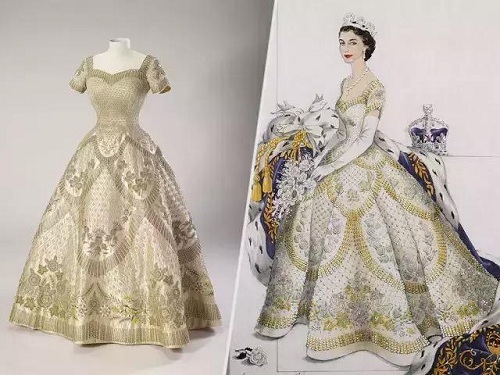 By the time of Queen Elizabeth, both men’s and women’s fashion included features like tailored bodies and elaborate sleeves and collars. It is nessary to add material under the fabrics to keep the shape. That’s the beginning of interfacing. In the 1930s, Dr. Carl Nottebohm, a German researcher, developed a way to create textiles by directly laying down the fibers rather than spinning them into thread and weaving them. These new non-woven fabrics became widely used as backing material and make up the bulk of interfacing today. Now we have a serious of different functions’ interfacing, there are three types of interfacing based on different weight: lightweight interfacing, medium weight interfacing, heavy weight interfacing. Based on different material, there are woven interfacing, and non-woven interfacing. Non-woven interfacing is widely used in the developing countries, and woven interfacing is popular in developed countries because of it’s enviromental.